I'm going to keep things short today, because I think that instead of doing too much reading, you really should head on over here and listen to today's radio show. (It sometimes takes a little while to go up, so if it isn't there yet the first time you click on it, give it a few hours. It will be.) It's an interview with Doug and Dianne Langeland, the owners of Edible Cape Cod, and it's about a very important issue pertaining to local food on the Cape: supply and demand. So put on your headphones, or turn up your speakers, and listen up. 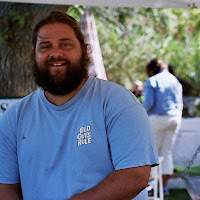 When you come back, as promised, this list will still be here: the latest dates, times, and locations for 2010 farmers' markets across the Cape. Click on the heading links to find out more about who's selling at each spot. Sometimes, I don't know quite what to do—with you. You are always the first to the markets; you show up all pink and fresh and new, beguiling in your white-pink-green candy-cane suits. I pick you up and bring you home—thrilled, delighted with my haul—and then, like a new parent (I imagine, that is), I look at you beaming and proud and in love, but a little bit bewildered, too. 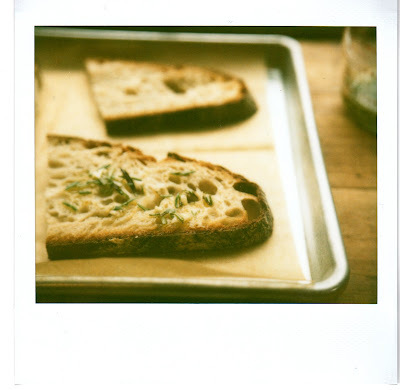 I like you on toast, I know that—shaved and crisp, layered with baguette and cold ribbons of butter, flakes of sea salt. You are fine on salads, although I miss you sometimes caught up a in crouton-pickled-beet-crumbled-cheese bite. Still you are there, present, bright. And then the ideas end. Radishes? Thank goodness for the Internet. I find you online, cut into matchsticks, tossed with vinegar and oil and chives and salt, served over a warm spring risotto of Pecorino and rice. I leave you in and change the Arborio out; barley, I've heard, can make just as creamy and rich a pot. The barley from our CSA is not quite right—hulled, not pearled—but with a strong and patient arm, it lets go eventually. I stir in cheese, herbs, lemon juice, and then it's your turn. I serve myself a bowl, and sprinkle you on top. We sit down to the table: you fresh and pink and new, and me hungry, grateful, ready to spoon you up. This recipe is the product of three inspirations. The radish dressing was inspired by a recipe for Romano Risotto with Radishes from Gourmet, September 2009. The most recent issue of Cook's Illustrated provided the method (Almost Hands Free Risotto), and the idea to substitute barley for Arborio rice came from a 2007 101 Cookbooks post on Meyer Lemon Risotto made with pearled barley. Since the barley from our grain CSA is only hulled, not pearled, I wasn't sure it would cream up the way it should, but I decided to try anyway. The result was a little more stirring than I'd bargained for, but well worth the work. If you use pearled barley, your barley should soften faster and you'll be able to cut down on the stirring time at the end. The nice thing about this recipe is that although it does require some legwork at the beginning and end, it gives you a solid 30-minute break in the middle to get the kitchen all cleaned up and the table set. That way, when the risotto finally is ready, you can sit right down to eat. Combine the stock and water in a large pot and bring to a boil over high heat. Cover and turn the heat down to a simmer. Warm up half the butter in a large Dutch oven over medium heat. When it's melted, add the onion and salt. Sauté, stirring frequently, for 3-5 minutes, or until the onions are softened but not browned. Add the garlic and sauté, stirring constantly, for about 30 seconds, or until it starts to get fragrant. Pour in the barley and cook, stirring frequently, for 3 minutes. Pour in the wine and cook, stirring constantly, until it is all absorbed. This should take about 3 minutes. Pour in 5 cups of the hot broth and water mixture and turn the heat down to medium-low. Cover, set your timer for 40 minutes, and—stirring every ten minutes or so—simmer until almost all the liquid has been absorbed and the barley is just al dente. Add another 3/4 cup of the hot broth and water mixture and stir until almost all the liquid has been absorbed, about 10 minutes. The barley should be starting to get creamy. Add the remaining 3/4 cup liquid and cook, stirring constantly, for another 10 minutes, or until all the liquid is absorbed and the barley is cooked through and creamy. Turn off the heat, stir in the cheese, cover, and let sit for 5 minutes. Stir in the remaining 2 tablespoons butter and the lemon juice, and season with salt and pepper to taste. 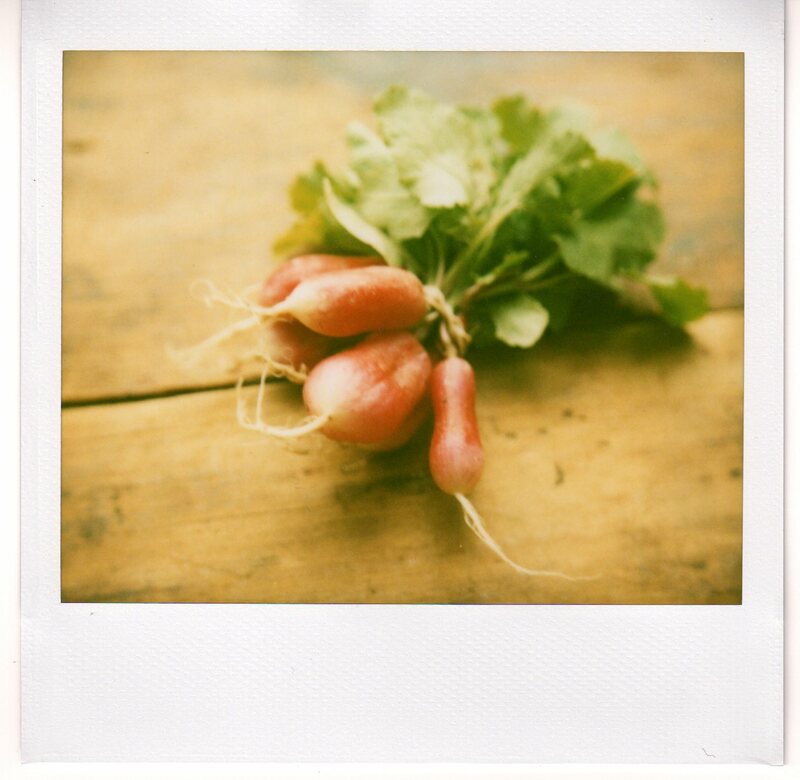 Serve hot, with the dressed radishes on top. Note: To reheat this risotto on the stove top, simply put it in a heavy-bottomed pot with a splash of milk or cream. The other day, nineteen kids showed up at the Truro Rec Department. They were there to plant seeds: literal seeds, in planting flats, and also figurative ones. You know, the grand-idea ones people like Michelle Obama are always talking about. Only this time, it was local parents like Dave Dewitt and Francie Randolph and Stephanie Rein behind the dream. Dewitt, Randolph, and Rein—the same three who started up the Truro Ag Fair last year—recently turned their attention to local kids. In hopes of getting them into gardening (and getting more biggest tomato contest entries for the fair), the Ag Fair has teamed up with the Truro Rec Department and the Truro Public Library to put in a kid-run community garden behind the library. Dewitt donated flats and seeds, Randolph spread the word to local parents and kids, and Rein coordinated building the raised beds. The Truro Ag Fair contacted the 4H wing of the Barnstable County Extension Program and is also partnering with Judy Vollmer, director of the county's 4H programs, to bring a curriculum of gardening lessons, art projects documenting the plants' growth, and junior chef contests to town. The first seedlings are already up, and on May 1 the group is hosting a garden party inviting friends and family members to help put the plants in the ground. Like most grand ideas, getting kids into gardening isn't a new one, but it's good one. And an important one, especially considering the way childhood obesity and diabetes rates have been skyrocketing. 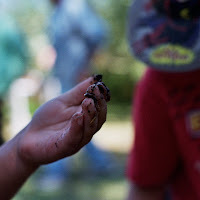 Tending a garden, and learning about all the work and care and worms and mess that go into growing food, has been shown to make kids much more open to fresh vegetables and fruits. They want to eat what they've grown after all that hard work. That makes introducing these vegetables again later, at home, a lot easier. Beyond this Truro effort, there are also a lot of other opportunities—a lot more than I realized—for kids to get into gardening on the Cape. Before talking with Judy Vollmer, for example, I had no idea that the county 4H program helps kids enter their whole home gardens in the Barnstable County Fair and then sends judges out to inspect. I didn't know there was a Junior Beekeepers Club in Falmouth or that kids at the Otis Air Station in Sandwich could join a Junior Chefs league. I hadn't heard that Coonamesset Farm in East Falmouth is starting up a 4H program on animal husbandry, or that they already offer a kids' summer farm and garden program called Little Sprouts. I had no idea that local master gardeners were pairing with kids in Marstons Mills and Brewster, or that in Falmouth anyone ages three to ten could learn to speak Spanish and tend a garden at the same time ! It's very exciting, all these kids with their hands in the dirt. Of course, the best part is that it might spark a lifelong interest: in gardening, in spending time outside, in eating fresh produce, and maybe even in cooking with it too. One of Vollmer's favorite 4H garden lessons involves taking the food from seed to table. The kids plant a pizza garden—tomatoes, oregano, onions, hot peppers—and then prepare a homegrown pie come harvest time. It might be early, but the first spring efforts are already up in our garden—tiny leaves of basil, fresh spinach, herbs, chives, and spring onions. We've made pizza with them before (the recipe is over here), and tonight, inspired by all these junior chefs and master gardeners, I think we'll do it again. 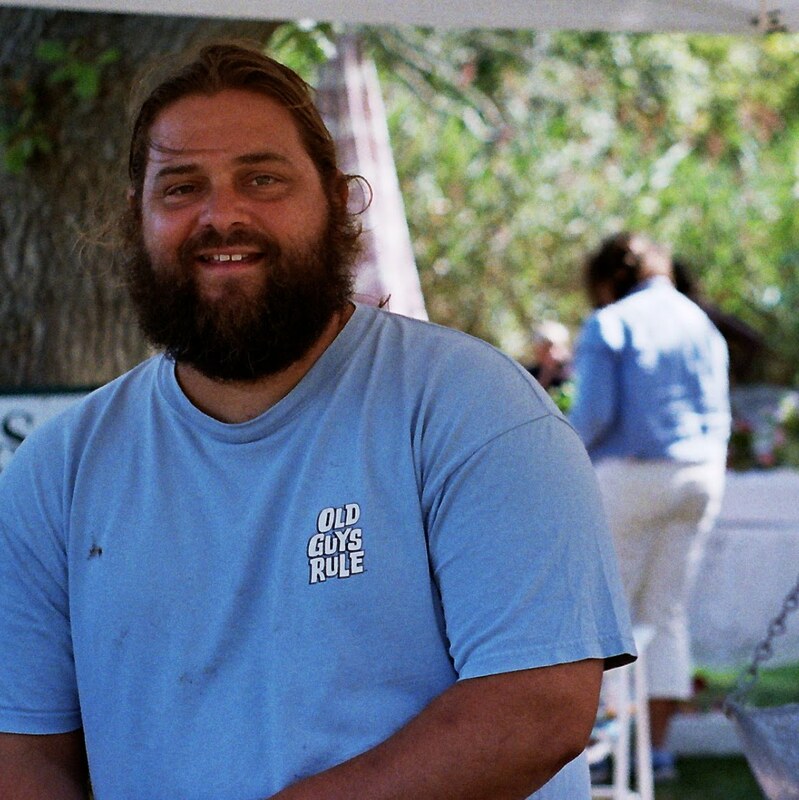 Did you know that not all Wellfleet oysters are created equal? 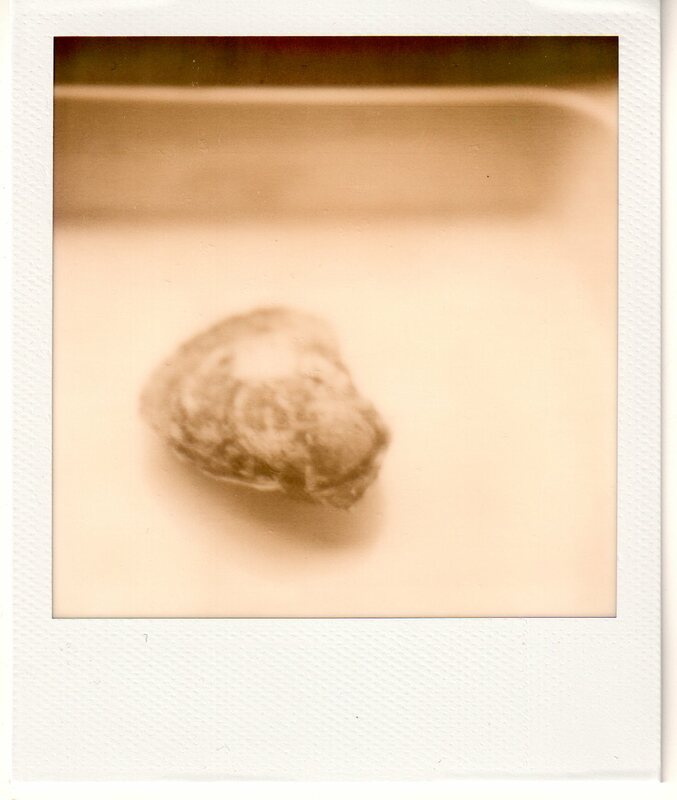 This oyster, the wild banana oyster, is the one that shuckers preferred years ago. 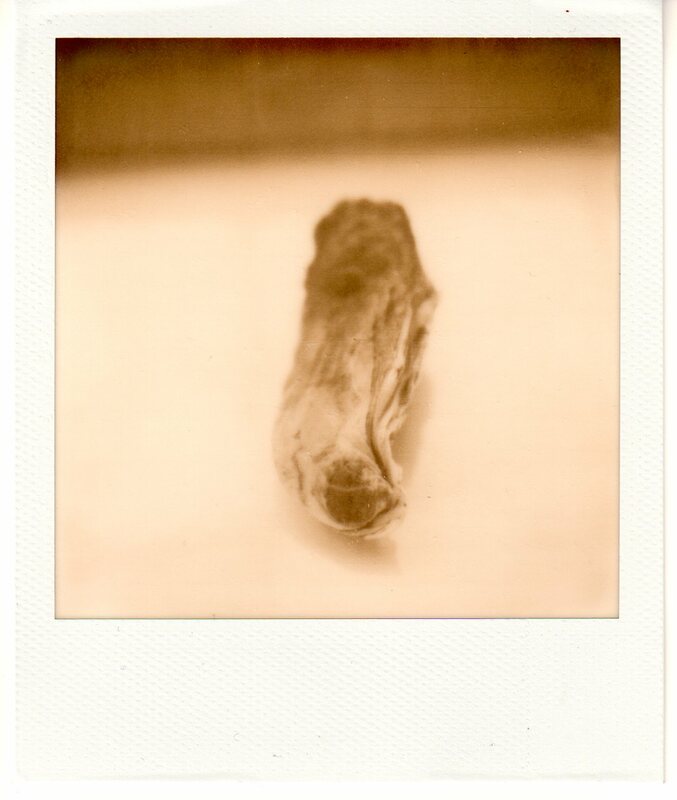 They were selling oysters by the jar, and this long, thin banana oyster had a whole lot of meat inside. It's from Chipman's Cove and it grows in the mud, just far enough down that it has to stretch to get up and out of it for air, and so it's constantly growing skinny, up. It used to be this biomass banana people picked. But then, the game changed. Wellfleet made a name for itself—people in the midwest wrote letters cross country about those sweet jars of Wellfleets they found on their supermarket shelves—and the raw bar market sprang up. Tourists and locals wanted their meat served on the half shell, and the deep cupped West Side and the manicured grant oysters with their round, shapely figures jumped in. The West Sides grow on sugar sand bottoms, places where there's deep water and rough sediment and every time the tide turns any sharp, thin edges get chipped off. A grant owner creates this same look by pulling their oysters out, knocking off the beaks and coaxing them into wide, deep shells. The funny thing is, they all taste the same. The flavor of an oyster is determined by the water, and in Wellfleet, we are full strength sea salt. Most people, myself included, would take our raw thirty-three parts per million over a southern oyster—those flat-tasting warm water creatures from Virginia and Florida—any day, whatever the shape. If you get those deep-cupped West Sides or a nice, wide grant shell, though, you almost have to try Oysters Rockefeller. The greens and the herbs and the sherry and the cheese—they just fit. The wide, deep cup holds the juice and the meat and the flavor all at once, and if you're any good at shucking, they take hardly a quarter hour to make. They're elegant and dressy and just sophisticated enough, and the way they feel on your tongue is like pure luxury slipping down. We ate six last night—six West Sides Rockefeller with two glasses of white wine and my grandmother's tiny silver oyster forks. While we sat the radio signal went silent and the dark crept up the windows, and we decided instead of turning on the lights to simply tuck in, leave the dishes, and go to bed. 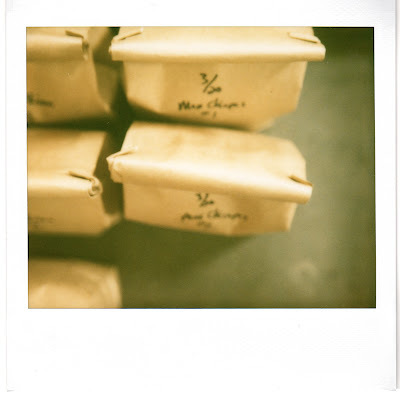 I can't say if it was the oysters or the quiet or the wine, but it all felt very extravagant. Wherever you live, and whatever sorts of oysters you have (please don't tell me, please don't, that you have none at all), I highly recommend you pick up a bag this afternoon. Look for the ones with the deep cups, the tall sides, the wide, holding shells, and make sure you have a shucking knife. 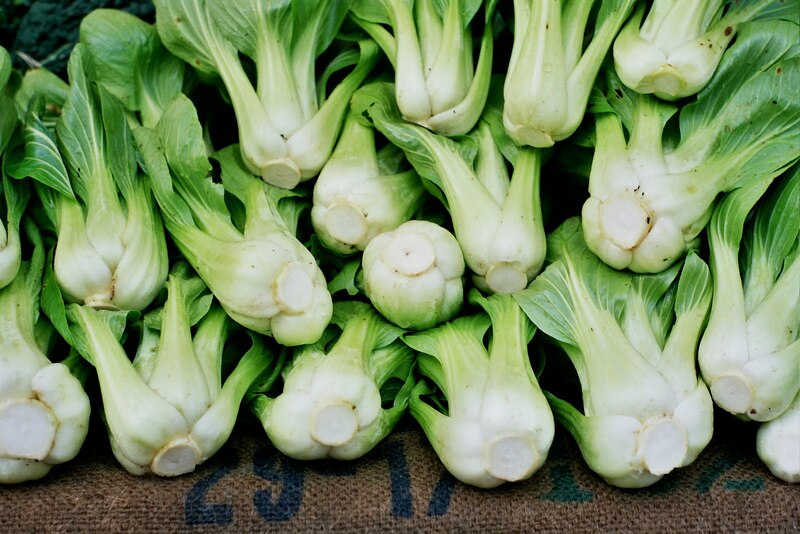 Crack them open over a bowl, and save the juice, then sauté up your best spring greens with some sherry and herbs. Turn on the broiler and just as the air begins to chill, arrange the meats in their shells with a frock of green and a sprinkle of grated Parmesan or pecorino on top. Pull them out just as the cheese begins to sizzle and brown, and eat them as the sun goes down. This recipe is somewhat adapted from one a very talented former Mac's Shack chef passed along, but mostly, it is made up. The chef's recipe had an incredibly daunting number of steps and soaks and sautés—the sort of undertakings that would be okay for a whole night of service at a nice restaurant, but absolutely ridiculous for a half dozen oysters at home—so I took a rough inventory his ingredients and technique and reinvented it on my own. The result was delicious, simple, and so long as your oyster shucking technique does not involve a garden glove, a layer of dish towels, and a lot of fear, also very fast. Shuck the oysters, reserving the liquid and meats in a small bowl. Scrub the bottom shells clean and set them aside; throw the tops in the compost. Heat up the olive oil in a large sauté pan over high heat. Add the shallot and sauté for about 30 seconds, or until it just starts to brown. Throw in the spinach and Swiss chard, and sauté, stirring vigorously, for about a minute. Add the herbs and continue sautéing for another minute or two, or until the greens are completely wilted. Pour the sherry around the edges of the pan to deglaze; it should sizzle and almost instantly disappear. Pour in the oyster liquid, taking care not to let any oysters slip in. Stir in the butter and continue cooking for another minute, or until the oyster liquid is reduced by half, all the alcohol in the sherry has cooked off, and the butter is absorbed. Turn off the heat and set the greens aside. Preheat your oven broiler and arrange the six bottom oyster shells on a baking sheet. Place an oyster meat in each one. Divide the sautéed greens evenly between the six shells, gently layering a spoonful on top of each of the oysters. Top the greens with the grated cheese, and broil the oysters for 2 minutes, or until the cheese turns golden brown. 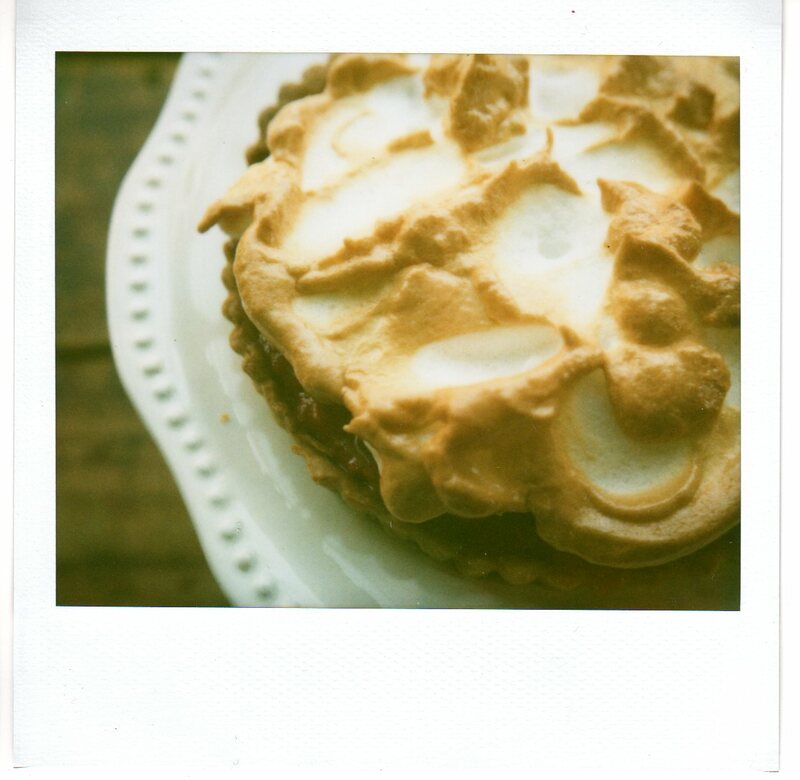 Devour at once. Every night when I was a kid, my mother made a salad. 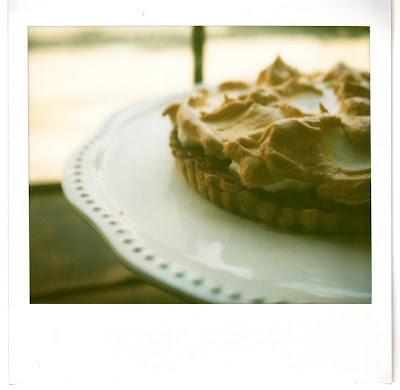 It was never anything fussy—some fresh greens, maybe a sprinkle of half moon radishes, sometimes a chopped up grapefruit wedge or two—but she had a certain knack for putting together the things she turned up in the fridge. One of my friend's mom's told me recently that this skill—also known as the Throw-It-On-Lettuce-And-Call-It-Dinner technique—is the key to success as a parent, and although I can't say for sure, I have a feeling she's right. I also have a feeling that the key to my mother's particular success was her homemade croutons. My mother makes excellent croutons. They don't take her long—they're the sort of thing she whips up right before dinner in between setting the table and waiting for the chicken to cook. She throws together a few slices of stale bread, a drizzle of olive oil, a good rub of garlic and rosemary and a generous sprinkle of salt, and in a few minutes, her little toaster oven starts steaming out dreamy crouton smells. They transform things like plain spinach and goat cheese into a salad for gourmets, romaine lettuce and store bought Caesar dressing into a plate from an upscale restaurant. Recently, we've been making them a lot around here. The garden greens are growing faster than we can keep up with, but beyond radishes and scallions, there isn't yet much to dress them up with. Fortunately, we also can't keep up with the bread (have you been to the new boulangerie in town?! ), or the rosemary, and we're only halfway through our winter garlic. They might not be the key to every success, these homemade croutons, but I plan to keep making them anyway, full steam ahead. I like to make these in the toaster oven so that I don't have to waste the time and electricity involved in heating a whole oven up, but if you only have a slot toaster, the oven will work fine. Also, I find that a nice, crusty, rustic bread like a sourdough or farmers' loaf works best, but I've used everything from stale hot cross buns to pitas with success. Preheat your oven or toaster oven to 400 degrees F. Line a baking tray or toaster oven pan with parchment paper, and arrange the bread slices on top. 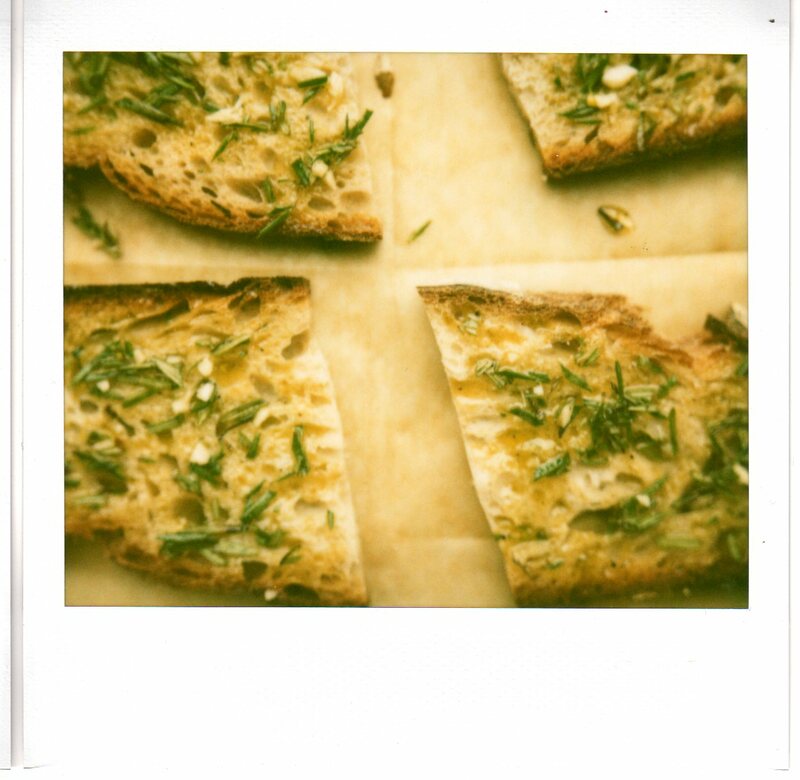 Drizzle the bread evenly with the oil, and sprinkle the garlic, rosemary, and salt evenly across all four slices. Use your finger to rub the oil and seasonings in and spread them across the bread. Bake for 1o to 15 minutes, or until the bread is toasted a deep golden brown. Transfer the toast slices to a wire rack and once they're cool, crumble or cut them into bite size pieces. Any extras will store for about a week in an airtight container, if you don't devour them first. Before we get into things today, there's something you need to know: I am not, by any respectable caffeine junkie's standard, a coffee drinker. I like coffee, to be sure, but I don't need it in the way that reputable addicts like my father and mother and sister do. I drink coffee for fun; they need it in order to brush their teeth. 1. Find out how the beans are picked: Good coffee is hand harvested. This is not because something happens flavor-wise to the beans when they are machine picked; it's because machines can't tell the difference between ripe and green beans. Ripe beans have a much better flavor, thus, hand harvesting to avoid picking green beans pays off. 2. Find out where the beans are from: Things like elevation and soil richness, John says, are preferences. He likes beans that grow at high altitudes or in rich soils—places like Ethiopia and Kenya and in parts of Indonesia and Hawaii—because they tend to have big, rich, earthy flavors. This might not be your thing, but if you pay attention to where coffees you like are from, you can figure out what sort of geographic profiles you're likely to enjoy. 3. Pay attention to how long the beans are roasted: There are two "cracks" in the coffee roasting business: the first crack, which happens when the coffee beans suddenly expand around 400 degrees F, and the second crack, a series of more intense crackling noises that take place around 440. Some people roast only through the first crack, which makes for lighter beans; others go into the second, producing dark beans with more intense flavors. How dark you go is really a personal preference. 4. Drink your coffee fresh: This means buying your coffee beans freshly roasted, in small enough batches that you can grind and brew them all within eleven days. After this time frame, John thinks the flavor starts to go downhill; after three months, he thinks you might as well throw the beans out. Fresh also means buying your coffee whole, as beans, and grinding it just before you're going to brew it at home. And finally, fresh means storing the beans in an airtight container, away from sunlight and extreme temperatures, which are, as he very dramatically puts it, Coffee Enemies. 5. Pay attention to processing if you drink decaf: Not all decafs are created equal. Some decafs are water processed, some are processed using CO2, and the majority are processed using chemicals. These chemicals have names like methylene chloride (carcinogenic when inhaled) and ethyl acetate (naturally found in fruits; synthetically produced to decaffeinate coffee). Water processed decaf is the safest from a health standpoint, and also tends to be the tastiest (more on that here). You might also want to pay attention to where the beans were decaffeinated: oftentimes, decaf coffee has a much larger carbon footprint than regular does, as the beans have to be shipped not just from the farm to your roaster, but also to a middleman for processing. 6. 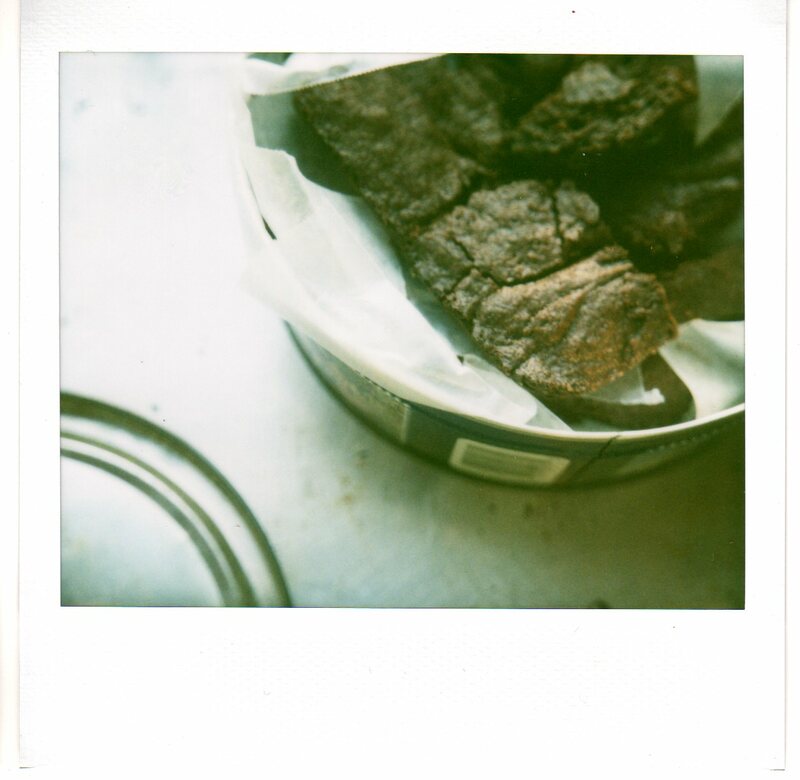 Make coffee infused brownies: Ok, John didn't say that, but I will. Seriously, this is his recipe, and they're good. And given the weather recently, I'd say you should probably make an iced coffee swirled up with cream, too. Every year, John gives some of these out to the restaurants and markets Beanstock works with as a sort of customer appreciation thing. I can't speak for any of his other customers, but I can speak for the one I'm married to, and these brownies made us both feel very appreciated indeed. I was even happier the next day, when I called him to up ask for the recipe and he sent it my way. Here it is, with a few tweaks, and one note: do not worry when the brownies don't look like they're cooking. They might not appear to be, but they are. Err on the side of underdone, don't panic about the not-quite-firm top, and you'll be okay. A-okay. Preheat the oven to 350 degrees F. Butter and flour an 8" by 8" baking pan. Melt the chocolate and butter together in the top of a small double boiler. Set aside to cool. In a large bowl whisk together the eggs and then mix in the sugar, vanilla, and brewed coffee. In a smaller bowl, whisk together the flour, cocoa powder, and salt, and then stir these dry ingredients into the egg mixture. Pour in the melted chocolate and butter and mix gently until everything is combined. Spoon the batter into the prepared baking pan and bake for about 25 minutes, or until the top starts to look a bit brittle around the edges and the middle no longer jiggles. Enjoy warm or cold, with a glass of iced coffee. The green beans in my freezer exasperate me. How can it be that we coaxed them, wanted them, nurtured them into being? They make me feel the way I imagine when I was a teenager, my parents sometimes did. When the plants were small, last July, I could dream of only good things from them. I yearned for white flowers and hardy stems, sturdy little beans growing robust in the heat and the wind. But when the time came—when they finally passed the wavering point and became strong, determined little things—they weren't quite how I'd imagined they'd be at that stage. With brawn came rebellion; they grew a mind of their own, took over a row of wilting lettuce, then a patch of sugar-snap peas. They pushed and muscled until they got their way. So There ! their leaves seemed to scream. They filled up the garden and then the kitchen and then the freezer, finally. I thought of my parents—of the missed curfews and tight jeans and Backstreet Boys CDs—and muttered a silent apology. 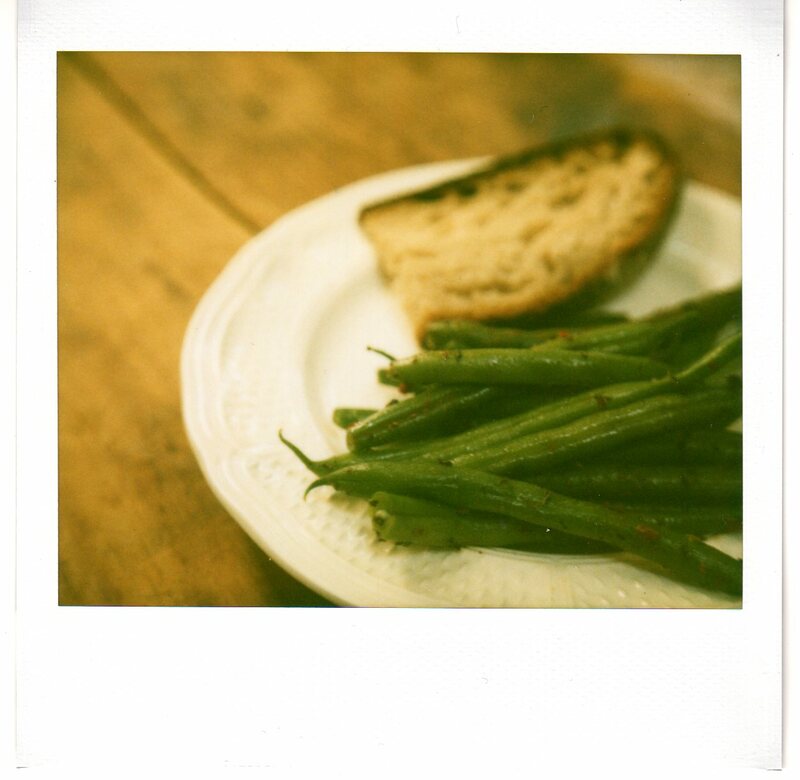 We have, still, a lot of frozen green beans. Following are my three favorite ways to them—number three, in case you're wondering, is my favorite, but they're all good. And while it is nice to thaw the beans before cooking them in any of the following ways, it is not necessary. 1. Boil them (always a little bit aldente), drizzle them with truffle oil, and sprinkle them with salt. 2. Fire up your grill, get out a cast-iron skillet and some blackening spice, rub down the beans, and char away. 3. Caramelize a red onion, boil the green beans, drain them, and toss the hot beans and onion with slices of brie or goat cheese, salt and pepper, and Kalamata olives so that the cheese melts and gets everything all gooey and warm. Ed Osmun is shy—that much we have in common. The first day I showed up with my microphone in tow I could see it in the way he bowed his head. But just as much as Ed is shy, I am determined, and today, finally, we got his story out. It starts with tilapia—ready for market, and fat. These tilapia are the main event on Ed's farm. They arrive tiny—half a gram—from New Mexico. A breeder there selects for uniformity and growth, which makes Ed's life easier when it comes to culling and the eventual harvest. 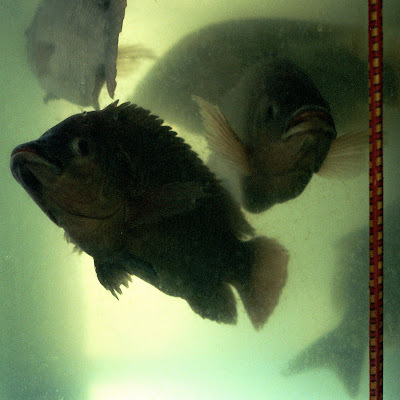 The fish spend their roughly nine months of life in nine large, half-dumpster size tanks—growing up in shades from orange to black into weights a pound and a quarter and on. 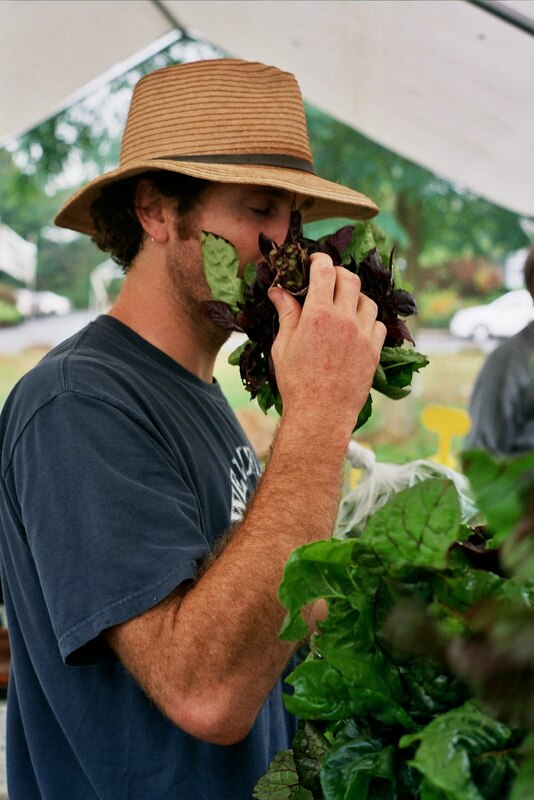 As they live and eat they of course create waste, but Ed has a system in place—a growing method called aquaponics—that allows him to use this waste instead of throwing it out. It works like this: in the water, there are big drums filled with nitrogen-fixing bacteria. Next door—adjacent to the fish tanks in the farm's roughly 8,000 square foot indoor growing area—is a greenhouse space. 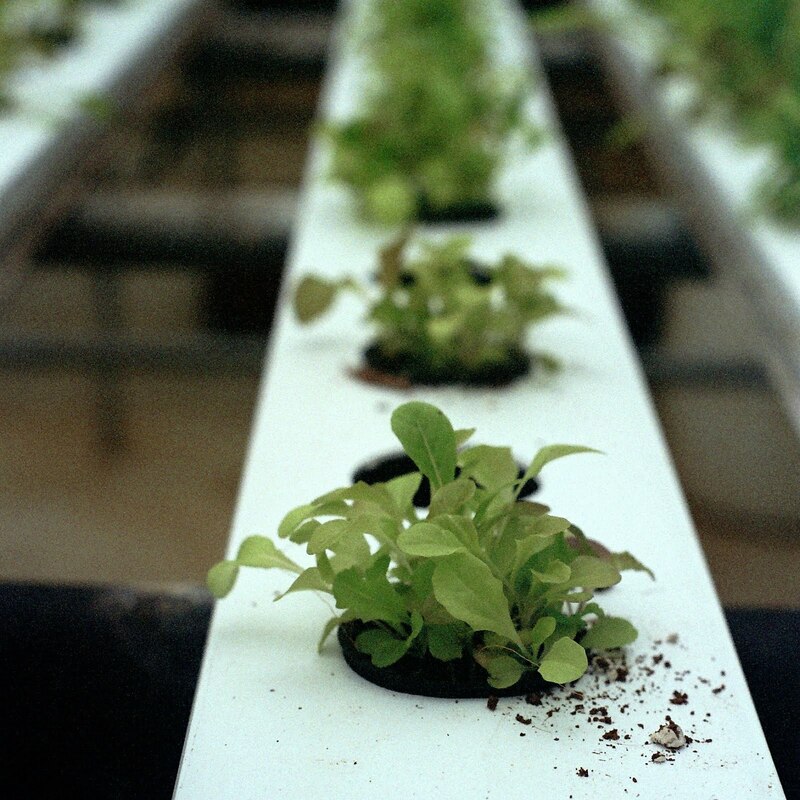 Nine tubes, one from each of the fish tanks, feed nine hydroponic systems, with the water full of nitrates constantly filtering out from the fish tanks and into plastic tubes beneath the rows of salad greens. Eventually, what solid waste the greens can't take up is filtered out along with old water, and new water is filtered in. It's a fairly ingenious system, although Ed says he can't take any credit. People think the idea may go as far back as the ancient Incas, the Chinese, and even the Aztecs. If you think about it, it's actually a very natural system—the whole world runs on aquaponics in one way or another. But the modern system was the brainchild of the New Alchemy Institute—the place that inspired Arthur Teubner to include growing space in his living space. 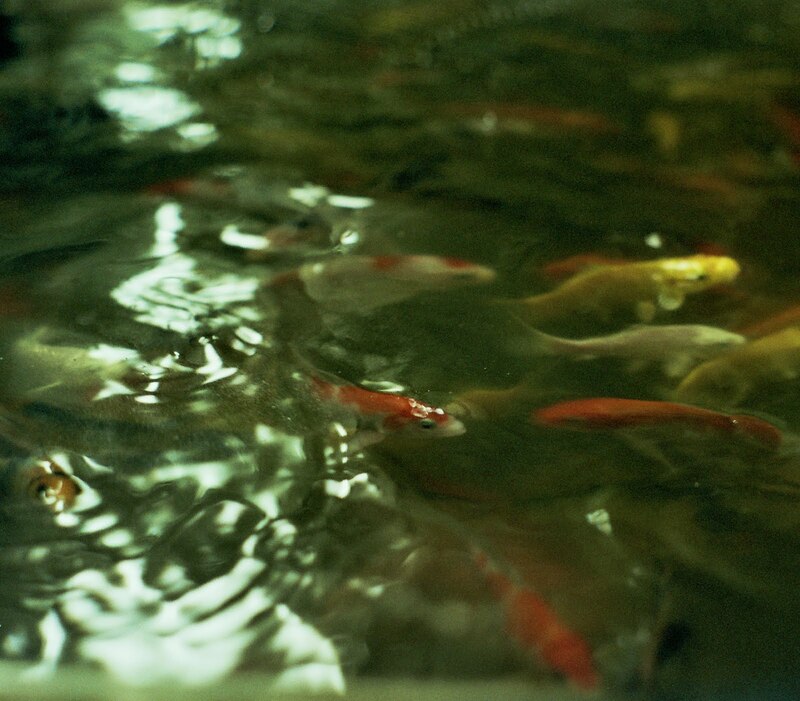 The researchers at New Alchemy published a series of articles on irrigating garden vegetables with fish effluent in the 1970s, and the idea took off. Ed says he's been interested in controlled environment growing for at least as long. His wife tells him he was talking about it when they were dating; they've been married now 37 years. Of course, the upshot of all this is food. Ed sells tilapia to local chefs (he's hoping to start selling retail to fish markets soon, too) and his greens go to local stores, restaurants, and farmers' markets. They're sold under the banner of E & T Farms, which Ed runs with his wife, Betty. They also produce honey and beeswax candles, and in the summer, they expand their growing outside and offer goodies like tomatoes and cucumbers. But even now, all year round, they have salad mix—plump plastic bags filled with baby lettuces, Swiss chard, arugula, and even a few nasturtiums. 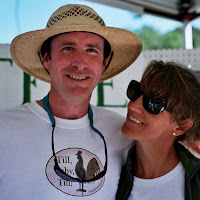 This Saturday, at the Marstons Mills Farmers' Market, if you have a second, introduce yourself. Ed may be shy, but he's always willing to talk aquaponics.